Dry leg fix boasts ingredients Shea butter and glycerin for serious moisture as well as Aqualaxyl. Aqualaxyl is a sugar compound that helps the skin retain moisture. It works by reducing moisture loss and strengthening barrier function. Aqualaxyl is proven to increase skin’s water reserves, including hydraluronic acid synthesis. This means that it should help skin to draw in moisture as well as lock it in. Good ingredient. Dry leg fix is not a cream, but a light gel. Spreads well and smoothes into skin easily. It is neither sticky or greasy. A nice, quick, fuss free application. This product is ideal for girls who hate the feeling of oils or body butters on their skin. It would work really well on holiday too, when you need that extra shot of moisture and gloss on your legs but don’t want half the beach to stick to your pins. But I am at home, and I want dry leg fix to fix my dry legs. I love Nip & Fab products for their no nonsense approach to beauty and “does what it says on the tin” ethos. However, much as I love this as a quick, grease free hydration gel, I don’t think it is the best thing to fix dry legs. I certainly wouldn’t agree to it’s 24 hour moisture claims. Great product, but I am not sure that dry leg fix can live up to its name. You see, my legs are not especially dry, and yet after using it, I feel like my legs could use a little more in the way of deep hydration. They feel soft, but I don’t get that super touchable full of moisture feeling. It has not done as much for me as i thought it would. 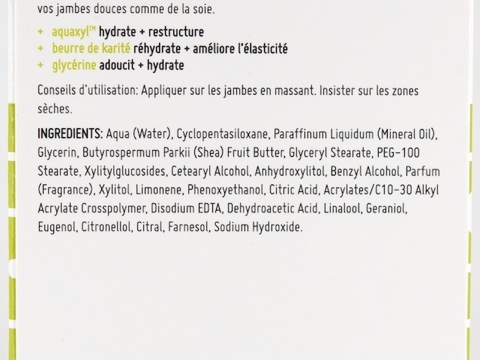 I look to the ingredients list in search of answers, and see that the third ingredient is mineral oil. Mineral oil creates a barrier on the skin, but doesn’t draw in moisture or hydrate. It is cheap, and so is used to bulk out all sorts of cosmetics and skin care products. Gives a smooth silky finish and great shine, but won’t hydrate. Although this product has some great ingredients, and reads as a moisturisation dream, I have a feeling that the ingredient ratio may be leaving it a little short of perfection. I don’t want to be overly negative about this product, because I actually think it is quite good, I just think that the name may be a little off. Rather than “Dry Leg Fix. 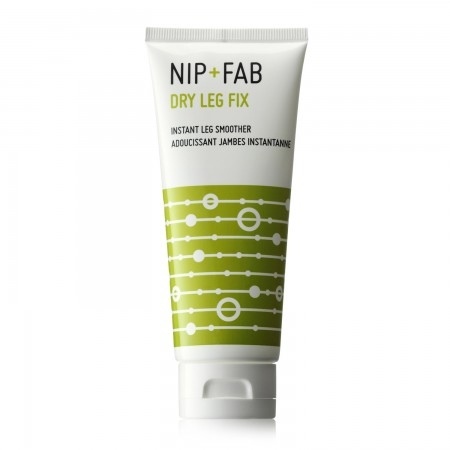 Instant leg smoother” I think it may have been more accurate to call it “Leg Smoothing Fix” because the ingredients work more towards smoothing than hydrating dry legs. Dry leg fix costs £10.25 for 100ml. I think that Nip & Fab got a bit carried away with the 24hr hydration claims, and I am not sure I would agree with claims of it getting rid of flakey skin either. I think that both of those problems would be better solved by a bottle of palmers cocoa butter, which probably costs less too. I doubt that I will be re purchasing myself, as I feel that my dry legs would be better cured with a Shea and sugar scrub followed by a nourishing moisturiser or even an oil applied to wet skin before getting out of the shower.